Alaska's Murkowski-Miller Race A Win For Penmanship : It's All Politics Alaska's Murkowski-Miller Senate race suggested most Alaskans have good handwriting. The ability of Sen. Murkowski's supporters to clearly write her name meant more than 90 percent of her ballots went unchallenged. She appeared to be the winner. It's hard enough sometimes to get Americans out to vote, let alone to vote by recording the name of their favored candidate on the ballot in neat enough handwriting to withstand ballot challenges. But that's apparently what happened in Alaska. 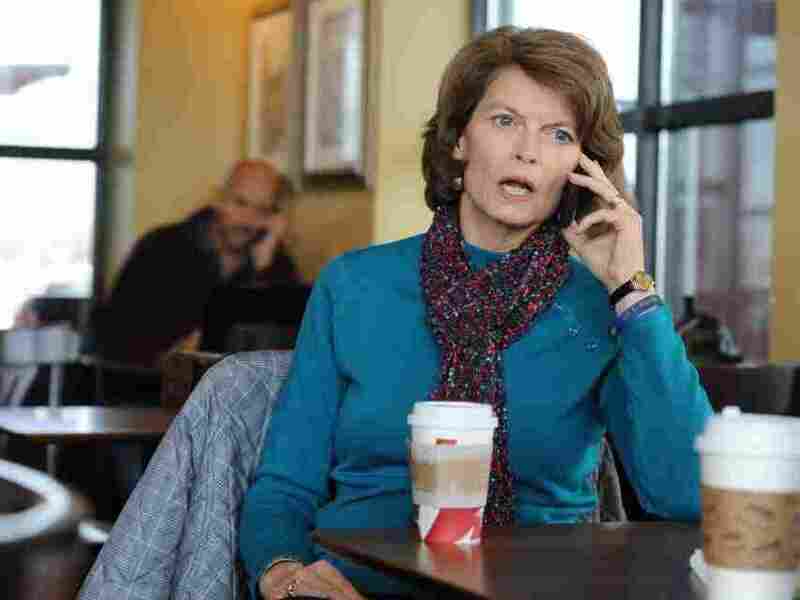 As NPR's Martin Kaste reported on Weekend Edition Saturday, even some supporters of Republican Senate nominee Joe Miller were impressed by how cleanly supporters of Sen. Lisa Murkowski, also a Republican, wrote her name. MARTIN: Still, Miller loyalist Greg Pugh admits to a certain admiration for the thousands of perfectly spelled "Murkowski" votes he's observed. PUGH: It -- it's amazing. MARTIN: Ninety percent of the Murkowski votes have gone unchallenged -- something Pugh sees as a tribute to Alaska penmanship. PUGH: I don't think you would have another state that would be doing this as neat we've seen it. MARIN: Even if his candidate ends up losing, Pugh is still proud of Alaska. At this point, a path to victory for Miller is difficult to see. At last report, Murkowski was getting 98 percent of the nearly 70,000 write-in votes counted so far. On Election Day, there were 98,565 write-in ballots cast. Miller, who had the backing of the Tea Party movement, received 87,517 votes. Miller was also supported by Sarah Palin, the 2008 Republican vice presidential nominee and former Alaska governor. The Miller campaign has successfully challenged just 1.5 percent of the 69,249 write-in ballots that have been reviewed. The ballots unsuccessfully challenged by Miller are being segregated in boxes, and the courts could have the final say. Meanwhile, you know a contested election is basically over when the high-powered election lawyers decamp. Ben Ginsberg, an election law expert who was flown to Alaska by Murkowski to advise on the count, said he was heading back home on Friday night. "This is in good hands, and the outcome looks pretty obvious," said Ginsberg, a top lawyer for George W. Bush in the contentious 2000 Florida recount. There are still legal challenges by Miller that need to play out. His campaign sued in federal court to keep Alaskan officials from counting for Murkowski ballots on which her name wasn't exactly written as it was on the state's official candidate list. But doubts surround Miller's lawsuit because federal courts have generally deferred to states in how elections are managed.